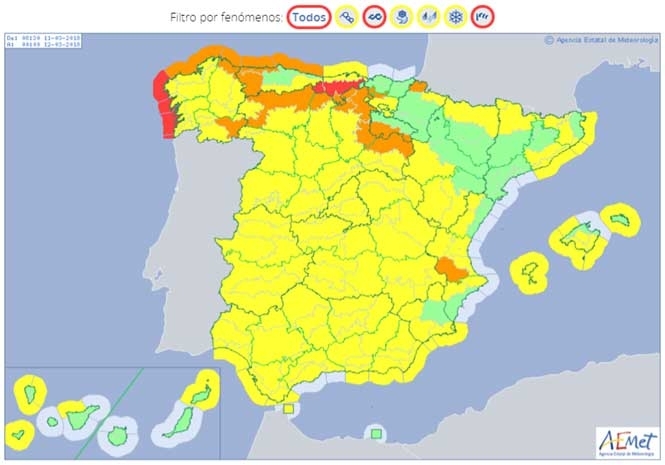 IT’S a case or spot the green ‘safe’ areas in Spain today (Sunday) as almost the whole of the country is covered by yellow, orange or red severe weather alerts thanks to Storm Felix. 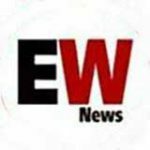 State Met Office, Aemet, has issued heavy rain, strong winds, snow and high waves – up to 10-metres in some areas – as the storm continues to lash the country before moving northwards. Gusts of 141k/h have already been recorded at Alto Campoo in Cantabria. Aemet spokesperson Ana Casals warns that much of the country will be affected by strong winds and rains but Galicia, Cantabria, Asturias and the Basque Country will be most affected the heavy rainfall with red severe weather warnings already in place. Even the Balearic Islands and the Canary Island don’t escape the weather warnings.